Red Devil Motors: BMW R100RS - the best value classic bike? BMW R100RS - the best value classic bike? First, a declaration of vested interest - I own a R100RS. I bought it for a fair price around about three years ago and it is worth little more now. I've put a good few miles on it and sorted out a few foibles but all in the market for the R100RS has little changed. It has probably had more spent on it than it has increased in price but none-the-less it has been good value motorcycling. 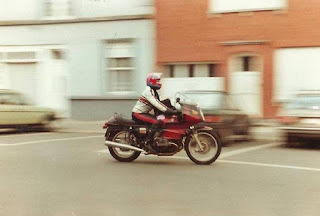 The new-wave custom scene has witnessed big numbers of RS machines divested of their fairings, fitted with chunky tyres and plank brat-style seats. Custom of course is about style but I stripped down a R65 with RS fairing around twelve years ago and I created a machine that was slower, used more fuel and accelerated worse. The point is that the RS machines are getting scarcer, just witness the number of fairings available on ebay. The number of R100RS to be seen on our roads is certainly dropping but those that are out and about just keep working. The build quality is of legend. Think about it, how many seventies or eighties BMWs have you seen that have actually been restored against restored Ducatis? The truth is that they just keep on working. I used my old R65 for a daily commute and it did 20,000 miles in 18 months with just three services and that was all the maintenance it required. These machines are still capable of being daily riders. Muth and designed with the aid of the Pininfarina wind tunnel. 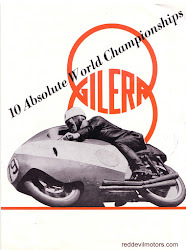 the first production road motorcycle with full fairing. Patently not true! Compare the RS with other machines of the day and it comes out pretty well. Though the reputation is slightly staid, the RS and its predecessor the 90S won races. Some exciting bikes appeared on the market in 1976, the Laverda Jota, Kawasaki Z900 and Moto Guzzi Lemans all appeared roughly the same time as the RS. 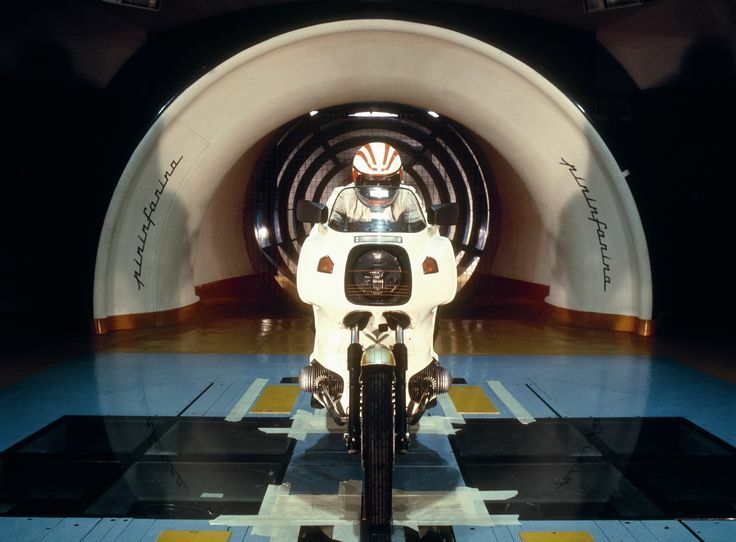 Honda's Gold Wing and the CB750 along with Ducati's 900ss were already well established. The RS is slightly down on horsepower at 70bhp to some of its rivals but that fairing made the difference and top speed was a proportionally lower drop than horsepower and the fact was inescapable that the BMW could be ridden from tank full to tank full at high velocity whereas the others lacked the streamlining and high speeds were tiring. The R100RS was a ground-breaking machine in its day; not the first there with any milestones but an overall package that blended together to create something new and spawned a genre of machines in itself. The R100RS was genuinely the first modern sports tourer, a machine that had the match of anything on the market in terms of speed yet could comfortably cruise all day in comfort at three figure (mph) speeds. If you want more practicality go for a late monoshock model. rather woeful early ATE calipers. So, let's put it in to perspective. 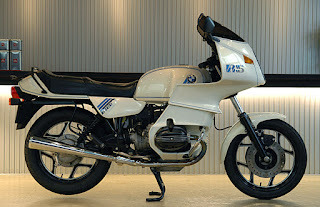 The BMW R100RS was a top quality machine of its day, a flagship in the range. An expensive motorcycle and one that was of a build quality rarely seen before or after and one that was designed to keep working indefinitely with a reasonable amount of servicing input. A motorcycle for life. And nowadays you can pick up a decent one for just over two thousand pounds. That's just five hundred more than a BSA Bantam in similar condition. All of its competitors of the day have surpassed the RS in desirability as gauged by the forces of supply and demand in the market place. How is this? How can it be that the 100RS is such a bargain? 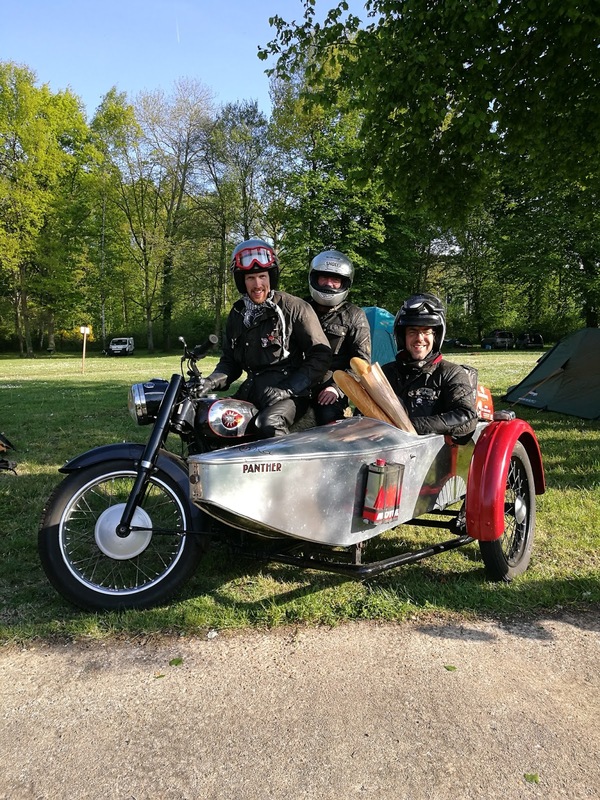 Simply, they don't fit a niche in the classic scene, the band of us out there who want a thirty to forty year old machine that is most at home cruising the A roads and motorways at modern bike velocities is small. The RS is not a bike for backroad Sunday runs, cafe or beach front posing. Believe me, I have used my RS on vintage runs when nothing else was working properly and it was neither a comfortable or rewarding experience. 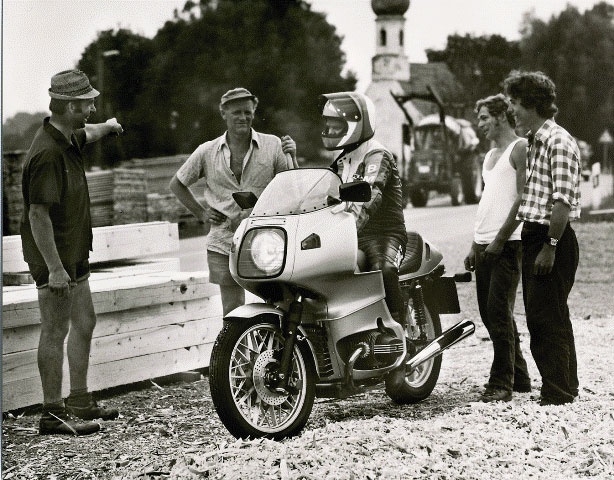 Whereas a Laverda Jota will make an entrance and turn heads with the noise and colour a RS will trundle up in a gentlemanly manner and come to a unobtrusive stop. 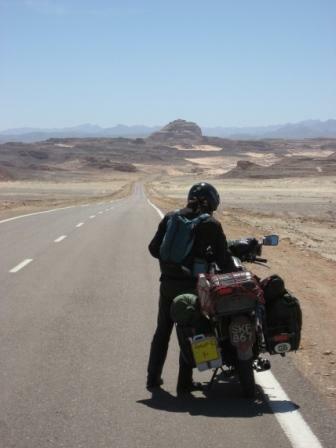 It all comes down in the end to how we perceive our motorcycles and how we ride them. 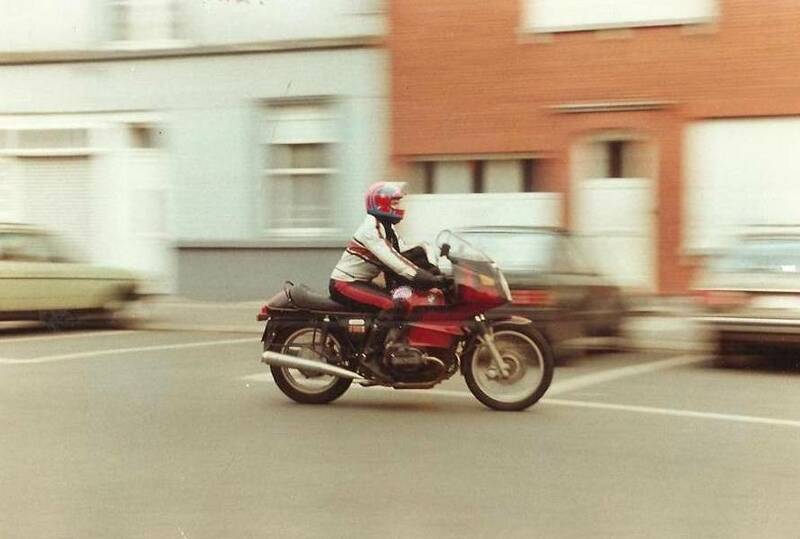 One of the things we like about riding bikes is that it marks us out as different, more so for a classic bike rider and rocking up on a BMW RS doesn't have the same impact as with a Ducati 900ss. The 100RS is a 'look at me, but not too much' kind of bike and that way suits me just fine. I'm not going to finish with a rush out there and buy one before it is too late message as I've got the feeling that the RS is going to be good value for years to come. Just do yourself a favour and try out Hans Muth's masterpiece some time. Take the bike touring, use it as it was meant to be and reward yourself with the knowledge that you are one of the enlightened!